Carla Zampatti truly knows how to make a woman feel chic, elegant and empowered with her simple and perfectly cut designs. 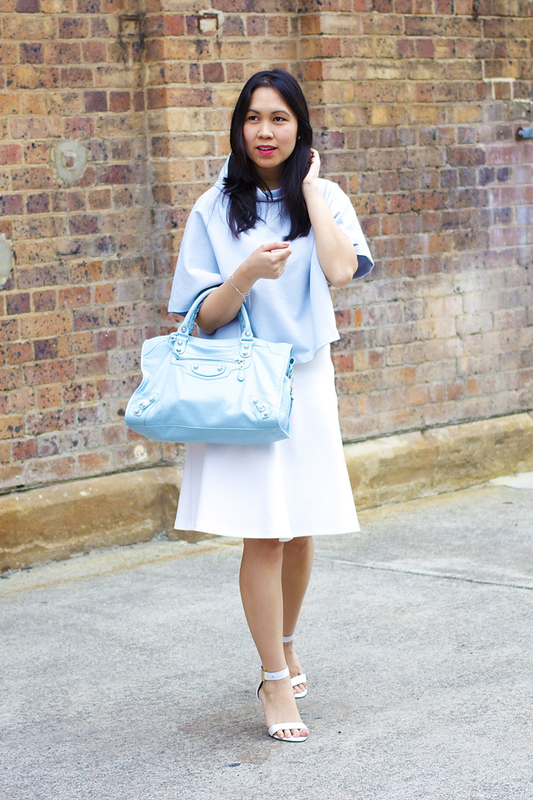 This amazing sky blue top is one of these pieces, top it off with a wonderfully pastel Balenciaga from Reebonz and its game, set, match for fashion week. 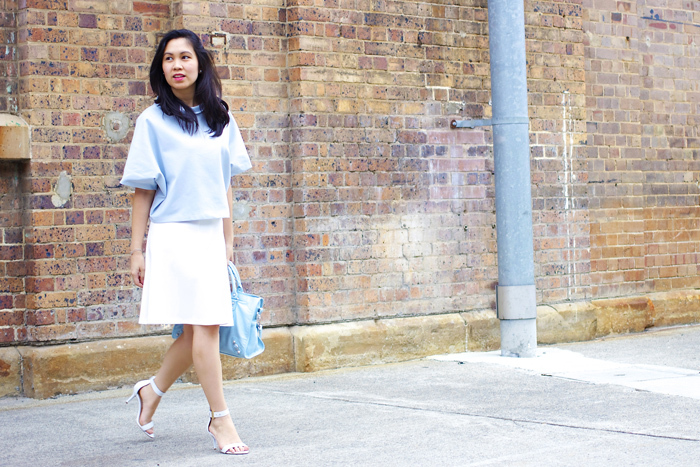 A belated outfit post from my final day of MBFWA, wearing sorbet blue again as you may know one of my favourite colours for the season. I happily manged to perfectly match the palette of Alice McCall's magical runway for the morning, clearly fulfilling my pastel quota for the season! 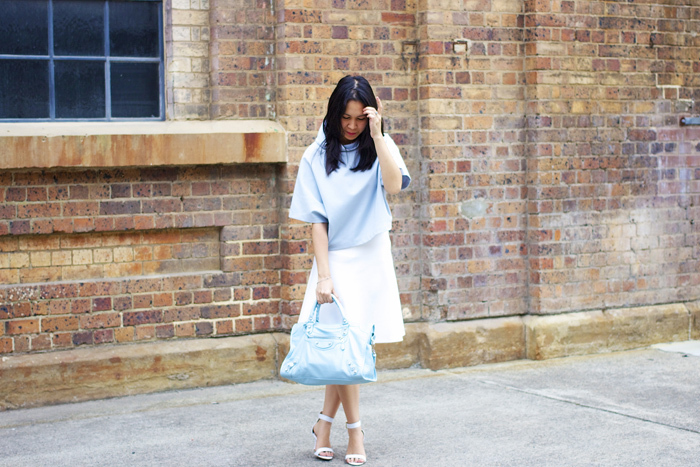 the colour of your bag is absolutely gorgeous! okay, actually the whole look is :P such great clean cuts and colours!